Naturally extracted manuka honey with a hint of cinnamon and cream. The honey of the Gods now arrives in an E Juice thanks to Two Cousins Kiwi e-juice artists. Flavour profile: Naturally extracted manuka honey with a hint of cinnamon and cream. 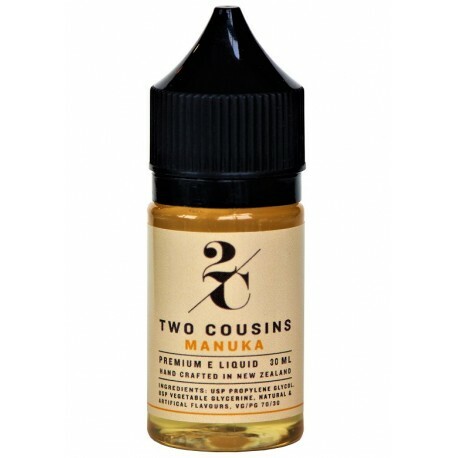 Steam Age Vape Shop ships 2Cousins Manuka E Juice (with nicotine) NZ & Australia-wide.